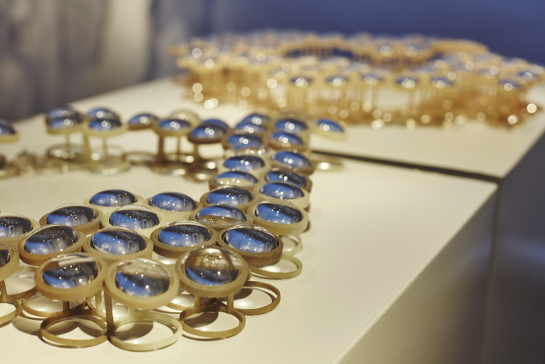 Daria Olejniczak – lighting designer with an over 10-years- long career in architectural lighting, who freshly graduated in contemporary jewelry at Alchimia, curated Light Matters, a group exhibition taking place during the Munich Jewellery Week at the Erco Showroom with works by Daria Borovkova, Maria Ignacia Walker, Lavinia Rossetti, Lena Grabher, Valentina Caprini and Daria herself. We have asked her to look back at this experience and share it with us. 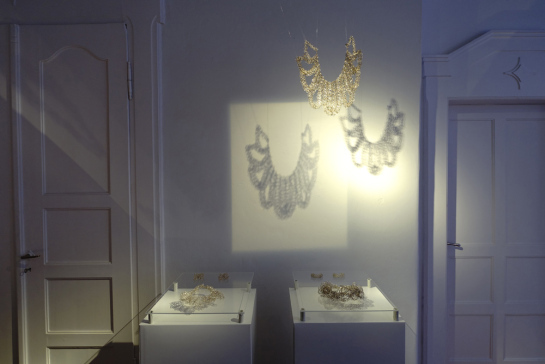 I was in Munich in 2016, having a look at the shows of other jewellery artists. Of course as a a lighting designer I always tend to pay attention to the illumination first. Unfortunately, I had to notice that lighting was treated pretty superficially. 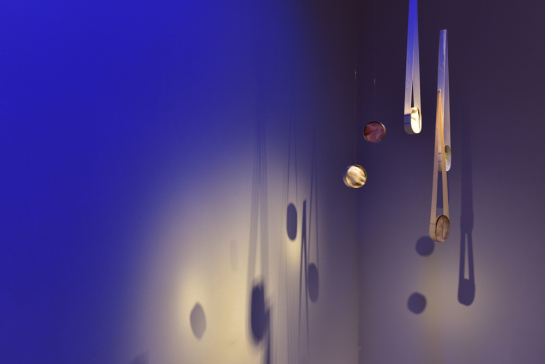 All the designers during the jewelry week face similar challenges, as they exhibit in spaces that are often used only temporarily as galleries, so I understand that the effort to organize a professional lighting is usually just too overwhelming (or expensive). However this was exactly the moment I got struck and decided to connect my two professions in one show. From my experience, I can say that whenever I have this kind of “aha-moment” in life, sooner or later my vision comes true. More or less one year later, I was in Munich standing in a room with 5 other artists, happy to open the show LIGHT MATTERS to the public. 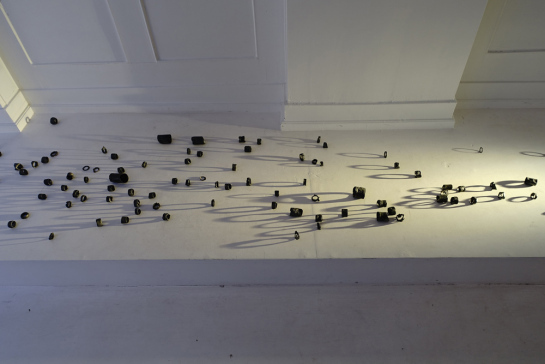 In the exhibition light was exactly as important as the pieces, and had a leading role in the developing of the concept, the title, the displays, the choice of the pieces, the promotion and the marketing. For me the first step was to find artists who are motivated, hard-working and whose pieces interact differently with light. 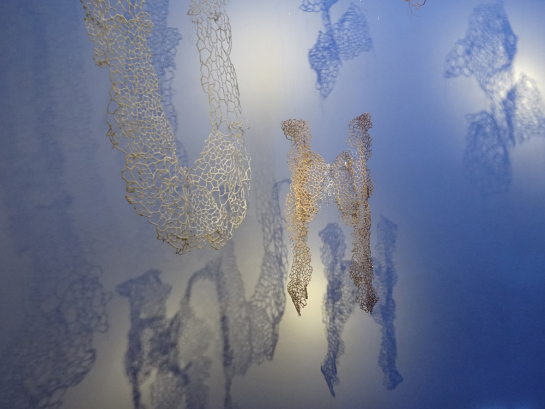 Intuitively I decided to work with Daria Borovkova, Maria Ignacia Walker, Lavinia Rossetti, who I knew from the school, and two other artists Lena Grabher and Valentina Caprini, who I had never met before. I liked the variety of the textures, colours, materials we used in our works. Optic lenses, transparencies, perforations, fine-mesh-structures, organic forms all correspond in their own way with different qualities of light – as colour rendering index, beam angle, light temperature, etc. Together we prepared a common portfolio and I decided to approach ERCO, one of the internationally known lighting fixtures manufacturer, which specializes in adjustable spotlights, commonly used in museums and galleries. I was happy that my proposal for cooperation was taken very positively. I went to Munich to see the venue of the Erco Showroom, which happened to be a beautiful spacious office in an old city house. I found it very important to stay focused and dot down all the tasks which had to be performed till the opening. It was a lot! Finances, displays, press release, application for the event, photos, catalogue design, printing and marketing, require a lot of time and patience. I am very grateful to my team for understanding that it was sometimes stressful for me to be in charge of all the coordination. Eventually all went well, despite many hurdles on the way, which it is good to laugh about at the end. The regularity of the meetings and the discussions allowed us to stay motivated, and to complete all of the tasks (otherwise the collective goal diffuses). We were eager to use all the latest digital means of communication, doodle, skype, dropbox, google shared files, which made it possible to share info and communicate effectively despite the distance that was between us – I live in Berlin, Lena in Vienna, and the others are based in Florence. 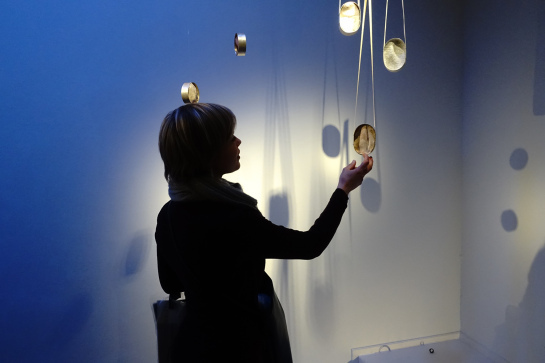 LIGHT MATTERS received an overwhelming positive response, which makes me believe the reason behind it was the fresh idea of bringing together two realities of contemporary jewellery and high-tech lighting, connection which was never made before. 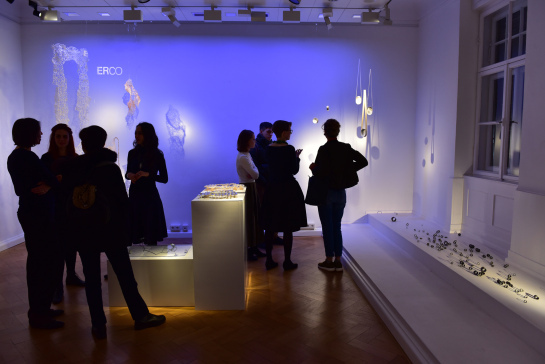 Also the diversity of the visitors made it extra interesting – not only the contemporary jewellery community was there, but also architects, designers and ERCO customers. The opening was announced as the “highlight of the day” by Wiener Schmucktage and it happened to be on the personal galleries route of Bella Neyman (owner of the Gallery Reinstein Ross in New York) which was published in the Current Obsession Magazine. I am especially happy and proud that this first show created new possibilities for the whole group, and for myself. 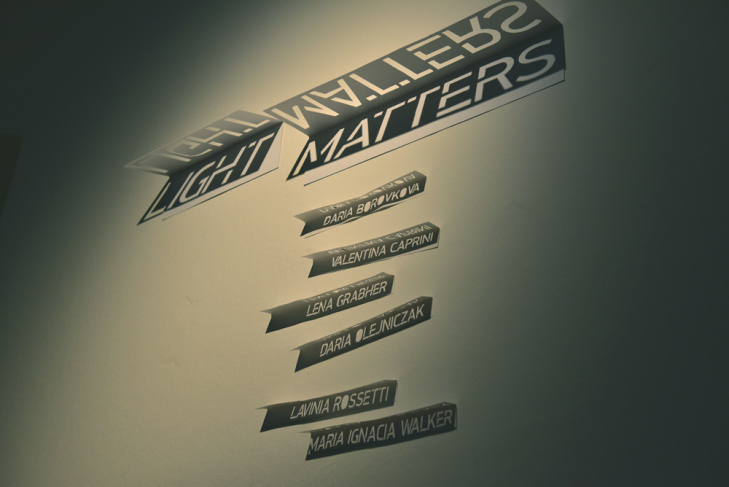 LIGHT MATTERS was invited to the Silver Festival in Legnica in Poland, where it can be seen on May 19 and 20. It also got accepted as part of an art festival in Berlin, the 48 Std. 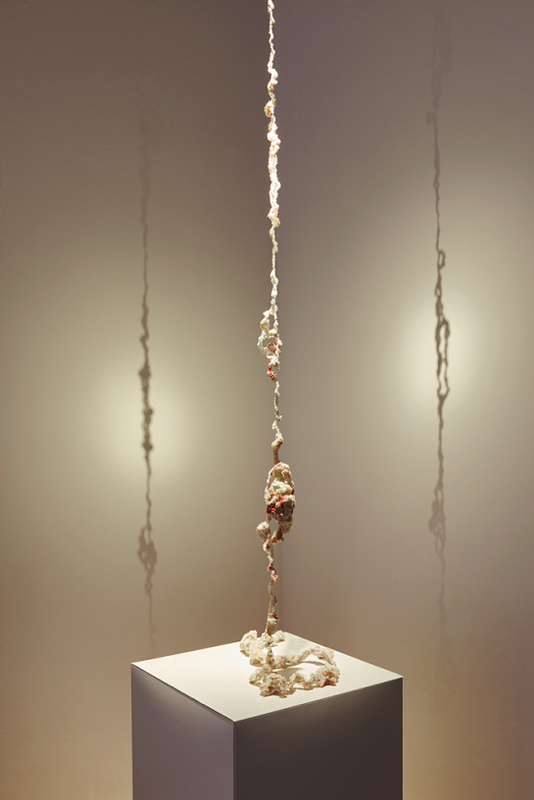 Neukölln, where again the exhibition will be hosted by the ERCO Showroom from June 23 to 25. These results show me that it was all worth the effort. After the closure of the exhibition, when all the excitement leaves, it’s good to sit down and note all the things that went well and what could be improved. And than enjoy, enjoy that moment of pride.